The developments in science and technology has tremendously developed the field of Home Science within the last few decades in both its outreach and its depth of penetration in order to meet the dynamic nature of the problems and challenges of individuals, families and societies. The real depth of the significant link between nutrition and disease, and role of nutrition in patients’ care is being increasingly recognized.The complexity of human nature and the need for optimum use of the human and natural resources in his environment for good health has generated compelling need for the existence/establishment of departments with programmes related to Home Science, Nutrition and Dietetics in the country. Home Science students are engaged in applied field of study that brings together knowledge and skills from different disciplines within the pure and applied arts and sciences to solve the most pressing problems that challenge the families presently, as well as those that are possibly going to emerge in the future. The Department of Home Science, Nutrition and Dietetics runs two degree programmes at the undergraduate level, namely: Nutrition and Dietetics & Home Science. It consists of four broad fields (Nutrition and Dietetics, Home Management, Family and Child Studies, and Textiles and Fashion Design) withvaried career opportunities geared towards optimum utilization of agro-products, human and material resources to enhance quality of life. Each field has developed tremendously in the last few decades as a result of development in science and technology, all of which have affected lifestyles and living conditions of individuals, families and society at large. Both programmes are designed to provide broad- practical and theoretical education that would enable students function effectively in their capacity as privately employed individuals, government workers, researchers, consultant, change agents, workers in national and international agencies and corporate bodies. The programmes are multidisciplinary, cutting across the boundaries of several disciplines namely: social sciences, humanities, arts, physical and biological sciences, agriculture, food science, applied medical and management sciences. An important aspect of these programme is the opportunity provided for students to gain direct practical experience through periods of attachment in the food industries, hotels, hospitals, childcare centers and research centers. Students of Nutrition and Dietetics are, however, engaged in a broad multi-disciplinary study bridging the gap between the areas of Food Science, Applied Medical Science and Management Studies. 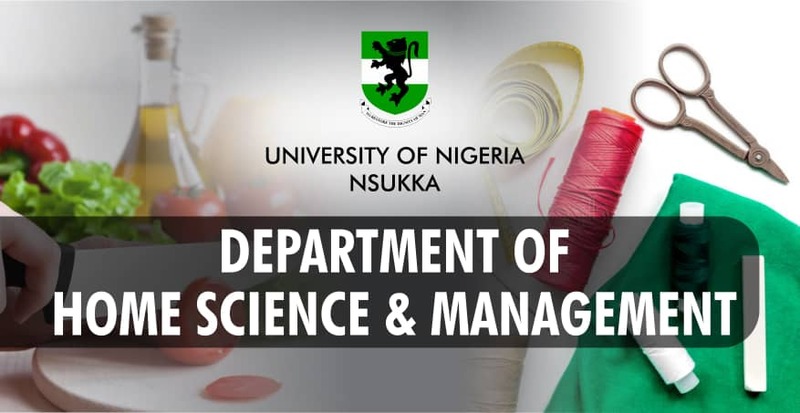 In addition, they are further encouraged to undergo the one-year internship programme as a private arrangement until it is properly streamlined between the University and the professional body (Dietitians Association of Nigeria). On completion, the Nutrition and Dietetics programme therefore offers students the opportunity to acquire basic knowledge and skills required before graduation. In practice, the activities involve education, research, prevention and therapy in nutrition-related areas aimed primarily at improving or maintaining good health throughout the lifestyle.